Category: Metal Work. 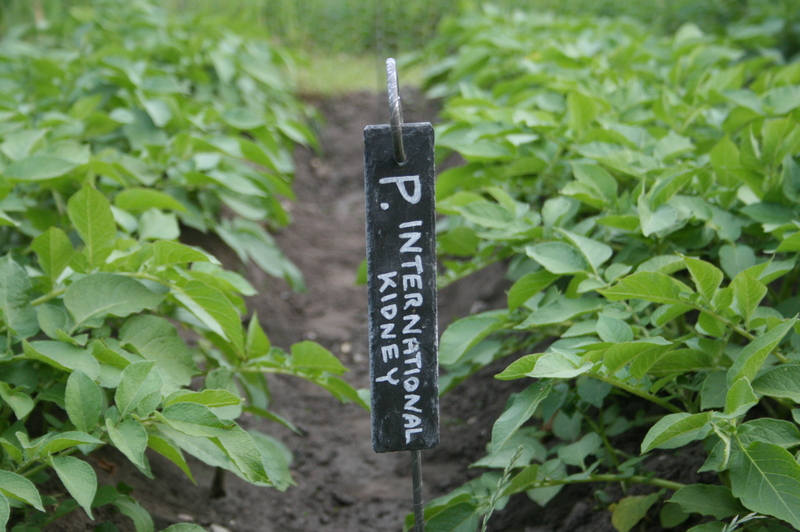 Tags: Handmade, Labels, Plant Labels, Slate. 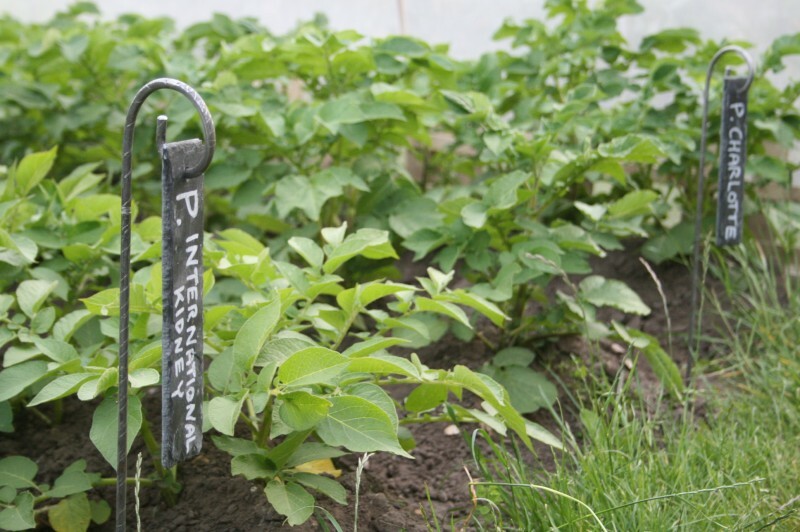 Set of four real slate plant labels, perfect for labeling all your vegetables, fruit and flowers. 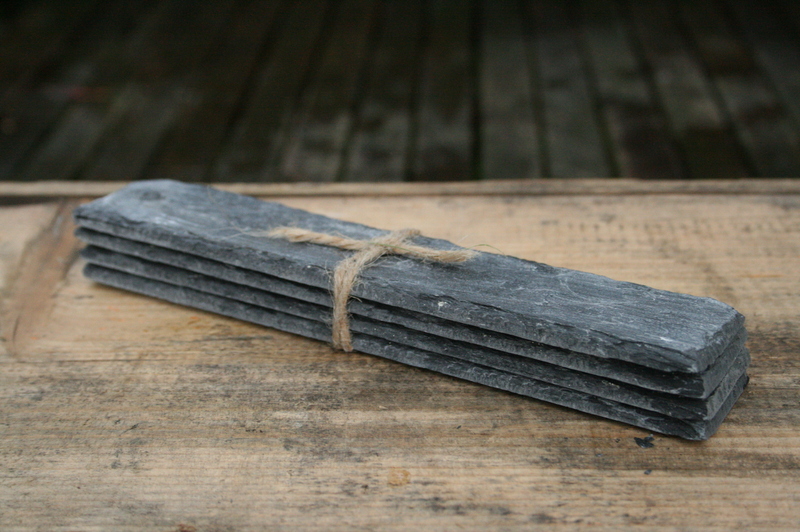 There is a hole drilled into the top of each slate so they can be hung on the metal crooks which can be purchased in our shop. 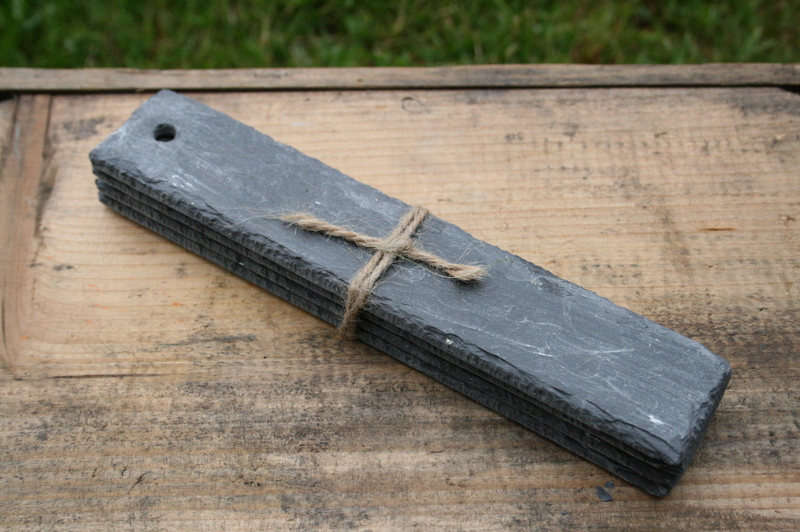 Simply use a waterproof chalk pen to write on the slate, we now have these in stock at £3.00 each on our other listing. Approximate size: 20.5cm long and 4cm wide. Metal crooks are sold separately.